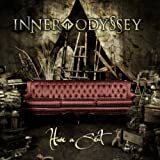 Inner Odyssey are a progressive metal band from Quebec, Canada. The band mix modern metal with strong emotional tones from both old school and modern progressive rock! Half way between Dream Theater and Pink Floyd, with influences from Porcupine Tree and Riverside. The music on this CD is a work of art, all resemblances with the reality or other type of music is accidental, or almost... Those words summed up my thoughts after listening this prog metal CD from this Quebec band. From the spacey intro and the ballad type of song, i couldn't tell if it was a metal band, until the third part of "Light Years Away", where the music expand on the metal side with the keyboards up front and a fast tempo typical of Dream Theater. I could hear the same Petrucci's guitar sound and even the Jordan Rudess's keyboards.There is numerous tempo change from fast to super fast with a solid rhythm section, and a singer that doesn't have the perfect voice, but manage to do a good job to go along plenty of long instrumental passages. Some Dream Theater's influences are pretty obvious, the influences of their first period and their more heavy oriented period. The song "Blank Sheet Syndrome" has a short piano passage that is a ripoff of "The Mirror" from the Awake CD of Dream Theater. 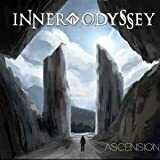 I don't say that it's a total copy of the leader of the prog metal genre, it's more than that, especially with the song "Sinking" who contains again a spacey intro and the most variety of moods among all the tracks here. With some piano, acoustic and quieter passages, the band has succeed to keep the music interesting from start to finish despite some repeated themes and a lot of metal passages. It's never too heavy and too far away from progressive rock, so for that reason it should appeal also to the progressive rock audience, especially to those who enjoy Dream Theater. No INNER ODYSSEY movie reviews posted yet.